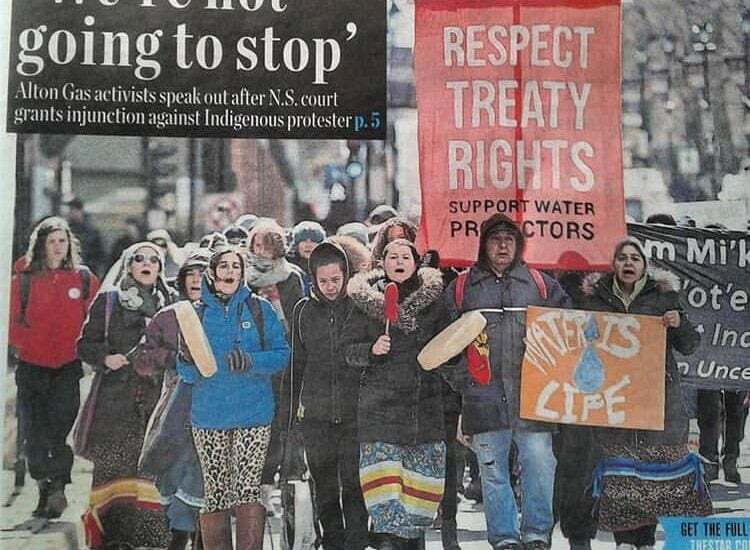 Meanwhile the Liberal government has rubberstamped this injustice by insisting that Alton Gas have met their duty to consult: To be clear, they have not. NOTE: For those closer to the Enfield area, there will also be a jail-support rally when we know where the RCMP have taken arrested grandmothers. Previous Post PSA: Tell Minister Mark Furey that street checks must be banned now!